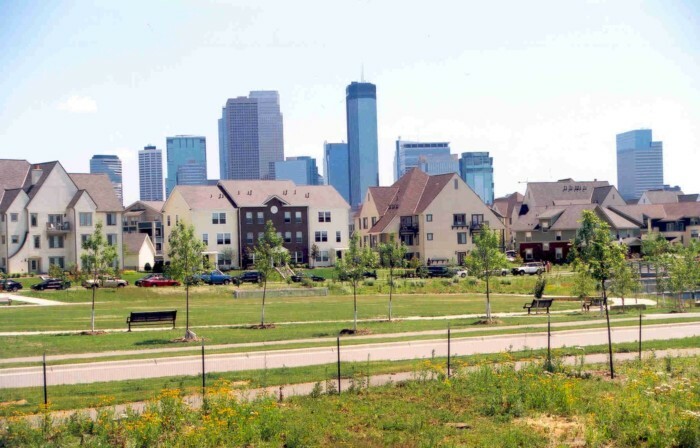 As the City of Minneapolis and a team of urban planners and developers focused on the revitalization of a blighted, underused 145-acre site west of downtown, Braun Intertec provided environmental and geotechnical expertise to develop workable redevelopment scenarios. Not only was the area home to several contaminated properties such as a former scrap metal recycler, former bulk oil and chemical storage facilities, and state Superfund sites, it was also underlain by swampy soils. Our first task was to develop a comprehensive map of geotechnical and environmental soil conditions throughout the entire project area. We were involved in the redevelopment process, which included environmental and geotechnical testing and consulting services associated with all earthwork activities. Such services included implementing RAP/CCPs to address known and potential environmental impacts encountered during the redevelopment process. The $225 million redevelopment project features 900 housing units in a mixed-income, culturally diverse neighborhood.